How much snow did Lookout Pass Ski Area get today? Find the latest snow report for Lookout Pass Ski Area, with ski conditions, recent snow totals and snowfall in the weather forecast. Scroll left to see the most recently recorded Lookout Pass Ski Area snow totals for the last five days or scroll right to see the Lookout Pass Ski Area snow forecast for the next three days. Read the snow reporter comments (if provided) for more details on skiing at Lookout Pass Ski Area for the day. See base depth recorded at the upper mountain, mid mountain and lower mountain stations, along with the current weather at the summit and base elevations, including wind mph and direction. Click through for a full weather forecast. How many lifts are open and how many runs are open at Lookout Pass Ski Area? Check out the Lookout Pass Ski Area ski report, including number of lifts open, acres open and runs open, as well as the terrain park status. Click Add to Compare to see a side-by-side comparison of Lookout Pass Ski Area vs. other ski resorts (up to 10 total). Lookout Pass Ski Area snow reports are sourced directly from the ski resorts and are only recorded during the official ski season's opening to closing dates. INCREDIBLE SPECIALS FOR OUR FINAL FEW DAYS - We're OPEN 9a-4p. Sat. & 9a-3p on Sunday April 21st. Tickets are FREE on Sunday April 21st Our Last day of the season with Sunny Skys in the forecast. ALL ADULTS PURCHASING A $25 LIFT TICKET Sat. will be given a voucher for 1/2 off their first $10 in food, or first $10 purchase in our gift & Logo shop. SUNDAY APRIL 21st is our last day for the season! - We invite you to spend it with your family & friends enjoying our Pond Skimming and Kids Easter Egg Hunt. We will be giving All Guests a FREE LIFT TICKET on Sunday April 21st. Those wearing a Hawaiian Shirt will receive a Hawaiian Lei or party beads while supplies last. We're trying to make the inevitable end of season meltdown as fun as possible. WEATHER: Sat. Cloudy - Light Rain possible - Low 38 Hi 45. SW winds 5-8 mph. Sunday Sunny High of 51! Our Snow Total for the year is 460" YTD! 100% of the mtn. is OPEN! DEALS: GIFT & LOGO SHOP - ROLL THE DICE & SAVE 25% to 50% off! Our DEMO SKIS are on SALE. BUY 19-20 SEASON PASS & SKI THE REST OF THIS SEASON FREE! $239 Ad., $175 Youth, $159 Sr.
We'll even apply what you paid for today's ticket toward your Season Pass Purchase. 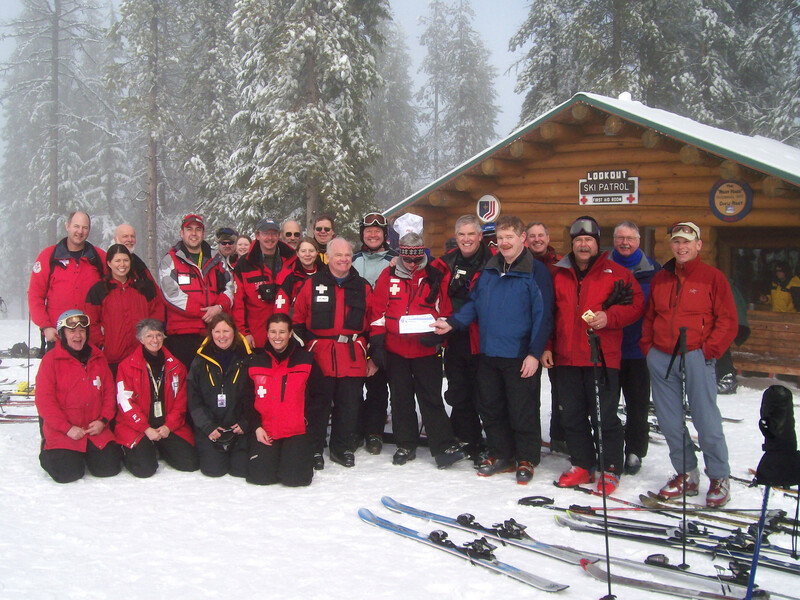 $49 1st TIMERS LEARN TO SKI 1-DAY Pkg.